Job applicants sometimes liken cover letters to the weird uncle at Thanksgiving dinner. He's boring, maybe a little awkward, and sometimes it's easier to just avoid him than deal with him. While this approach may work for Uncle Larry, omitting an occupational therapy cover letter from your job search is a very foolish move, especially when you're fresh out of OT school. 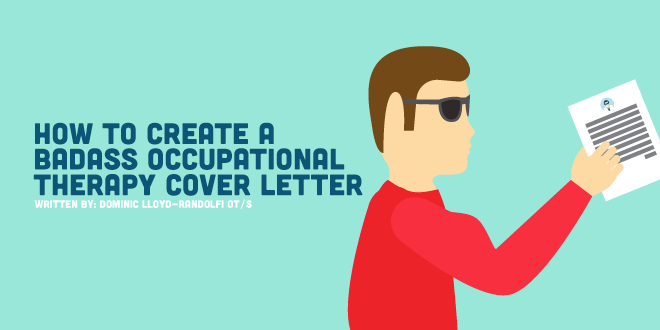 Because an occupational therapy cover letter is a new grad's first opportunity to differentiate themselves from scores of other job applicants. Sometimes, you have to put yourself in a hiring manager's shoes to truly understand a cover letter's importance. He/she has worked hard to get to that role, and now he/she must hire a team of effective and conscientious therapists. If all the manager has to go by is a stack of resumes, interviews will be granted solely based on credentials, most of which will be more impressive than a new grad's. At the same time, if some of those resumes had thoughtful, sincere cover letters accompanying them, the hiring manager would have more of a complete picture to put on the resume. Maybe you weren't lucky enough to have a pediatric neuro clinical, but you grew up with a disabled sibling. Perhaps that blogging experience slipped under the radar on the resume, but your cover letter can highlight how your stellar writing and communication skills can help grow the organization. Imagine that you were the one in charge of hiring a candidate and you've got exactly 6 hours to interview 6 OTs for a position. Would you waste your time interviewing someone who sent the same generic resume to everyone, without taking the time to drop a friendly note to the organization?